There’s nothing quite like fishing with frogs—seeing the wake approach the lure, watching the water’s surface explode and wrenching a huge bass from the slop is something all avid anglers dream of. 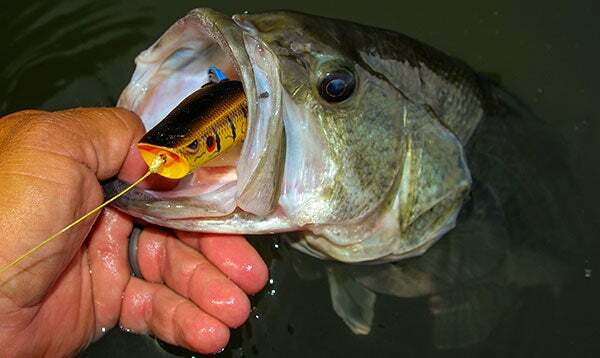 Fortunately, topwater frogs are some of the most versatile baits in our bass fishing arsenal. Effective in water temperatures ranging anywhere from 50 to 90 degrees, it’s a proven technique that catches some of the biggest, meanest bass of the year. Although bass fishing can be tough in the heat of the summer, heavy cover frogging in shallow water is a great way to beat the summertime bass blues. Why choose heavy cover and shallow water? SPRO pro Dean Rojas is renowned for his frog fishing prowess and has a lot of success targeting shallow, heavy cover in the summer with his SPRO Bronzeye Poppin' Frog and Bronzeye Frog 65. While many anglers flock to offshore structure and cover for summertime bass, he prefers getting as shallow as possible to target really big bass. Clear skies aren’t what many anglers think of when it comes to suitable topwater fishing weather, but his approach makes a lot of sense. In bright conditions, bass often tuck very tightly into cover. Because they are ambush feeders, they rely heavily on stealth when looking for meals. When high skies increase underwater visibility, bass become exposed and are forced to find heavy cover—such as grass, wood and docks—to hide in. Any shallow water technique summertime technique is sure to raise some eyebrows, but again, it makes sense from a biological standpoint. Most fisheries tend to get a lot of afternoon thunderstorms throughout the summer and the fresh runoff increases shallow water oxygen levels. Although most fish will remain in their deep water dwellings, you’d be surprised by how many big bass will revert back to shallow water in search of more suitable water conditions. Topwater frogs can definitely be effective for covering water, but Rojas catches his biggest fish when target casting with the Bronzeye Frogs. Instead of fishing big, expansive areas with it, he’ll target very precise pieces of cover. Rojas spends a lot of time looking for shallow, thick cover with deep water nearby—just a small, 1 to 2-foot drop adjacent to the cover is often all it takes to find monster bass. Adjacent deep water is an appealing characteristic to a bass because it allows them to slide back into deeper depths when they’re inactive and easily move into the shallows to feed. It’s not uncommon to see summertime bass roaming the shallows, and Rojas has a trick to catching these finicky fish. If he’s targeting heavy cover and notices a big bass cruising on the edge of the cover, he never hesitates to throw a frog at them. To properly present his frog to wary cruisers, Rojas stresses the importance of “leading” the fish. Many anglers make the mistake of casting too close to the fish, but he makes sure to give them a lot of space to avoid spooking them. When you see Rojas practicing for a tournament with one of his SPRO frogs, you’ll notice one thing about all else—speed. In order to quickly eliminate water, he maximizes his efficiency with rapid, downward twitches of his rod tip. When it’s tournament time, however, and it’s all on the line, you’ll notice Rojas taking a much more thorough, slow approach. Following a long cast into heavy cover, he’ll twitch the rod downward and immediately give the bait some slack to achieve his famous walking action. This technique is especially effective in heavy cover as it allows the frog to stay in the most productive strike zones longer. The art of the frog hookset is widely misunderstood, according to Rojas. While many anglers, including myself, tend to wait a few seconds after the blowup before setting the hook, Rojas hits them fast and hard. When fishing topwater frogs in heavy cover, Rojas exclusively uses 80-pound Sunline FX2 Braided Line. It may seem like overkill to some, but he’s a big believer in stout fishing line. Although it may surprise some, he actually prefers a 7-foot, medium-heavy rod. While many anglers opt for big, heavy-action flipping rods, Rojas has found many benefits to using a lighter rod. If offshore fishing isn’t your thing, don’t worry. This summer, stick to your strengths and head for the thick stuff to catch some big summertime bass. If you can locate the right areas and practice your mechanics, you just might turn into a frog fishing addict.